I am inspired by successful, intelligent women who work tirelessly yet always look fabulous. How do they stay si soignées? 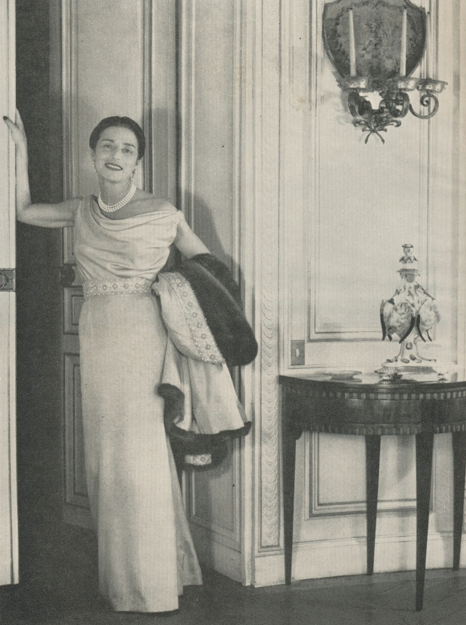 Here’s this week’s mystery: Who is this elegant woman? What was her profession? Think you know, readers? Submit your guesses below; we’ll post the answer on Thursday! Ginette Spanier! Been meaning to read her autobiography. I’m excited to read your post on her, I’m so obsessed with this blog! Thanks, Lily. You’ve made our day! 🙂 We hope you like tomorrow’s post; we’d love to hear your thoughts on it!